If you have not heard of ‘Maslow’s Hierarchy of Needs’ please scroll to the bottom of this article for a quick primer article on his work. You could also contact me, take advantage of the FREE 3 weeks of Peak Performance Coaching offer and have just the information pertinent to our work together explained. If not, please continue reading to see if what I’ve discovered intrigues you. After decades of looking at what I’ve done successfully and also what I have done in a spectacularly bad way, as well as copious amount of reading, searching and studying, I asked myself the tough questions. Particularly I asked myself why some things were successful and some things were not, and further, how those pursuits were successful and unsuccessful. But most importantly, I asked myself if these results were repeatable, with consistent results, basically, was there a method to the madness. Now, you should be asking yourself why my ideas matter. My name has no fancy letters after it. But my answer to that question is, having entered the world where I did and the environments I was subjected to growing up (not to mention I was exposed to the four major abuses that comprise 98% of those reported), and the work I have done my entire adult life make me a great experiment for overcoming internal and external obstacles I and others faced. I was able to see some semblance of success (success as I define it, not necessarily how you might), and not just for me, but those I worked with as well. My assertion would just be a matter of my own opinion if no one else agreed or if others had not come up with the same conclusion independent of my belief. I am blessed enough to know a couple doctors (friends with Ph.D.’s working as psychologists, not as medical doctors) who independent of each other, or the benefit of my humble opinion, said I would be a great candidate for the ‘resiliency’ studies that are in vogue today in psychology (statistically I am lightyears beyond where I should be). It seems instead of just trying to dig people out of a hole, there is a movement afoot to actually help people thrive, prevail and succeed in life’s grand pursuits. It’s not just about turning lemons into lemonade; it’s about turning lemons into lemon meringue pie (and let me tell you, making meringue is no easy task). So what does all this have to do with Maslow’s Hierarchy of Needs? Let’s face it; Maslow was just making an observation of how humans interact with their surroundings based on their needs and drives. What I realized years ago is that you could turn Maslow’s work on its head, so to speak, and there was a way to manipulate or change perspectives on what he was telling us and use it to our advantage. I mean really, no one needs to tell me I crave shelter, food, community and the like. It’s a given and more than that, what good does the information do me in the real world, it’s common sense? Memorializing my observations, a pattern emerged. There was correlation in a certain way to Maslow’s ‘hierarchy’ and I was able to not only teach it to others, but to get phenomenal results. It seems sometimes we just need to change our frame of reference and then move forward from there. And amazingly, moving forward with the right map seems to get you where you want to go a lot better than the wrong map. Finally, what does this have to do with the high achievers I work with? Well it’s simple, those who are not satisfied with status quo, who want that extra edge, who want their cake and eat it too are the quickest to see the pattern, utilize its benefits and take their game to the next level. Will this system work for you? If it didn’t you’d be the first! Actually it can’t not work because it’s not only based on human nature, but every research article, every time-tested ‘words of wisdom’ and every success story I’ve ever read fits the profile. Contact me now, take advantage of the FREE 3 weeks of Peak Performance Coaching and see how it can work for you! What do you have to lose? Abraham Maslow (1908-1970) was an American psychologist who is most noted for developing the hierarchy of needs theory. Considered the founder of humanistic psychology, Maslow typically wrote about such topics as behavior and motivation, and first introduced the hierarchy of needs in his 1943 paper, A Theory of Human Motivation. The basic premise of this theory is that humans are born with certain needs, which can be categorized into levels depending on their degree of importance. Our most fundamental needs are physiological needs, and then safety needs, love needs, esteem needs, and finally the need for self-actualization. The idea is that as we fulfill our most basic needs in life we are able to move upward and fulfill the more complex needs represented higher on the hierarchy. We will not seek to reach higher levels, however, until our most basic needs are realized. Maslow’s hierarchy of needs theory is commonly depicted as a five-tier pyramid, in which the bottom level represents our physiological needs, or the most critical needs for life. In this category are the requirements necessary for survival: food, water, air, warmth, and sleep. Once these needs have been addressed, we are able to move onto the next level, which is comprised of safety needs. The need to feel safe and secure is psychological as well as physical, and may manifest itself in different ways depending on individual circumstances. Job security and a stable family environment are two examples of ways individuals seek to bring safety into their lives, and feeling removed from danger is an important step in reaching more advanced platforms of the pyramid. When we feel out of danger and secure in the world, we are able to progress up the hierarchy and begin to fulfill our needs of love and belonging. In the third level of the pyramid, our social needs become a priority only after our physiological and safety requirements have been met and maintained. Our affiliation with and acceptance by others becomes the focus of our desires. While many adults look to fill this need by marrying someone and starting a family, children seek belonging from their parents and teenagers work to gain acceptance from their peers. The fourth tier of the pyramid is reserved for esteem needs, or the need for achievement, confidence, respect, recognition, and approval. People increase their self-esteem by gaining an education, advancing in their careers, and working to improve themselves. After all the previous needs have been met, an individual is capable of achieving the highest point in the pyramid, self-actualization. According to Maslow, fulfilling this need means reaching one’s highest potential and truly understanding one’s self. Few people reach this level in their lifetime, and even fewer stay there on a consistent basis. If the previous levels are thought to be oriented towards physical and psychological needs, the fifth level can be considered more spiritual in nature. While there are some critiques of the theory, Maslow’s hierarchy of needs has informed scholars in many fields from education to healthcare, and continues to be applied to a diverse set of academic disciples. Moreover, it remains an important contribution to humanistic psychological theory, and is still relevant to discussions today regarding human behavior and motivation. My vision is to work alongside all high achievers seeing them achieve all their highest goals, having facilitated the process which allowed them to gain all their victories faster and with less resistance. By Shane M.D. Scott, Peak Performance Coach at www.MEMBERSCoaching.com Inquire about Shane’s FREE 3 week peak performance coaching offer. Shane spent over 20 years working in the Criminal Justice field while concurrently working as a Peak Performance Coach. What should you look for in a Peak Performance Coach? I have to admit, there was a time when I thought having a coach was hooey, hog-wash, just plain silliness. What changed my mind? Getting some free coaching from a coach ruined me. I cannot think of it as hooey anymore. Worse yet, now I am a coach. A stretched mind can never go back to its original shape. My first question should have been, “What is a peak performance coach, I mean what makes them one?” Sometimes it’s easier to be shown than told; at least that’s what worked for me. But I’ll do my best to put it into words what can only be fully grasped by experiencing. These are a few of the qualities that make a great peak performance coach. First off, a peak performance coach needs to be a great listener. There is no other way to know where the client thinks the problem is. We all seem to intuitively know when something isn’t quite right or that we could do better somehow, that there is some ‘edge’ ‘out there’ that we could attain. Sometimes though, trying to fix it on our own doesn’t seem to work very well. It’s hard to be an inside observer from the outside. We simply cannot see the totality of ourselves. Worse yet, as Einstein said, “You cannot fix a problem in the same state of mind that created it.” We all have blind-spots. Secondly, a peak performance coach needs to be a phenomenal question asker. Two reasons come immediately to mind. First they need to be able to ask phenomenal questions because they need to be able to solicit critical feedback they need from their client to see what’s going on, on the inside. Secondly and more importantly is the skill of asking the questions that help focus the client where they should be looking and away from anything that diminishes their abilities. Trying to concentrate on all the minutiae that brings success, at one time can actually be counter-productive. Focusing on the prize and letting our abilities naturally kick-in is where ‘flow’ occurs, it’s when we know we are ‘in the zone’. Next a peak performance coach needs to be a great student. They need to be students of human nature, of their specific client and they need to be a student of all the varied literature that enhances their ability to facilitate the process of peak performance. They need to be able to do their craft in the most efficient and effective manner that is known to us today. The very subject of peak performance grows by leaps and bounds almost daily. Further, the subject has no clear boundary lines. A coach needs to be widely read and also deeply read in many areas to provide the best coaching to their clients. Simply, if you are not a student of life and for life you just can’t be effective for your clients. While this list could go on and on, the last critical component of a top-notch peak performance coach that I’ll mention is caring. There is nothing that can compare with this. It is the critical component that allows synergy to form between coach and client. Actually, I don’t think it would be possible to be a peak performance coach of any caliber without caring. Peak performance is an energy intensive endeavor. And this is not only true for the client, but if the coach is fully engaged, it is energy demanding for them too. The only way to give that amount of energy to something is by caring. This is not an exhaustive list, but it will get you started. Interview your prospective coach, find out their background, and see if they are a student of the science. Find out if you can get a complimentary session to feel if there is a possible connection. But probably most important, see if they have the qualities listed and most importantly, see if they truly care about your vision and your success. Without that you’ll have wasted a lot more than the fee you paid. Buyers beware…even of the cited article on being aware. Realizing it is a reporters job to sensationalize a story, and the article “Lawsuit Shines Unflattering Light on ‘Life Coaching’ Industry by NICOLE SPECTOR” needs little sensationalizing, there are some glaring points in this article that you should be leery of. Don’t get me wrong; always beware of what you are getting into. Always read before signing on the dotted line. Always check sources! A class-action lawsuit that shines a negative light on any industry is damaging to those 99% that are following the ethic route. What’s interesting is she points out that the “field that attracts many practitioners who lack any training or certification.” Statistics by the ICF, whom she cites later in the article, has published data that 80% of those who go through Coaching certification are not in the Coaching business one year later, for those with no training or background the percentage is even higher. They also cite that it takes an average of two years for that 20% who might have stuck around that long to get their first paying customer. My point is not that there are not snake-oil salespeople. There are shysters in every industry. But you are more likely to get a coach with a lack of experience rather than someone who is trying to bilk you out of money. And the up-side of that is they probably are inexpensive, so you are getting some coaching at bargain price. Here is also a problem I have with the article, the author writes “While illicit activity can happen in any industry, life coaching is particularly susceptible because it is unregulated and anyone can say they’re a life coach establish a practice, experts say.” Do you see the irony? She writes, “…anyone can say…” and she ends it with, “experts say”. It would make me laugh if someone out there wasn’t buying her assertions just like they bought the assertions of the Ponzi schemers. What experts? What makes them an expert? Based on what authorizing body? The author cites a business owner who said, “There is so much snake oil out there in the self-help industry, and people should definitely keep their BS detectors up,” Anna Kunnecke, chief commercial officer of Declare Dominion, a life coaching service in Portland, Oregon.” The article does not read if this Coaching business owner is in fact certified themselves. The very fact that they highlight the self-help industry puts reputable Coaches in a different light. Are Mentors and Consultant part of the self-help industry? Most reputable Coaches have more in common with consultants than they do with motivational speakers. Then the article goes on to read, “It’s also big business. A study by the International Coaching Federation (ICF), a nonprofit industry group that offers certification programs for life coaches, estimated that total industry revenue was $1.979 billion in 2012. And according to the Department of Labor statistics analyzed by CareerTrends, there were 202,360 “self-enrichment education teachers” – a category that includes life coaches — in the U.S. as of 2014.” How is this for murky waters? They highlight who the ICF is but don’t qualify what they mean by “estimated”. Then to totally cast this in darkness the article cites a big number from the Department of labor. But they say that the group they are referring to number wise also contains Coaches. Are coaches 1% of this number, 50%, 10%. I don’t know that the statistic they give has any relevancy in the first place, but if someone sees value in the concept shouldn’t there be some transparency? Here might be the biggest travesty! “Unlike a doctor or a counselor, life coaches don’t have to back up their titles with a degree. They can also earn some kind of certificate in just a couple of days.” “Unlike a doctor or a counselor”? Any Coach who makes a correlation between themselves and a doctor or counselor is to be avoided at ALL costs. And any Coach who practices anything requiring a doctorate, a psychology post-graduate degree, or the like is breaking the law and should not only be reported but avoided like the plague. This author is downright insulting to people who shop for a Coach. “Despite such advice (advice given in this article), most prospective clients are very trusting when they enter a relationship with a life coach.” Ouch. Further, and making coaching out to be psychological treatment, she quotes in her article, “Another reason that people may pick a life coach without doing the research is because they are emotionally vulnerable. And when people are feeling lost, they tend to lose sight of the fact that they do have something to lose if they make a bad choice, said Ettus.” Coaching is not therapy. Coaching is not to fix deep-rooted trauma. Coaching is not remedial. Now this takes the prize! Toward the end of the article she writes, “This is as important as making a medical decision.” What? Now who is being disingenuous? This is as important as making a medical decision? What? This is a business decision. You don’t get a coach for psychological issues. You get a coach to further your endeavors. You get a coach to move forward on your vision. You get a coach for awareness and accountability, not for something that requires a medical decision-like investigation. Written by Shane M.D. Scott, 02/06/16. Shane spent over 20 years in the Criminal Justice field and is also a Coach. Shane freely admits he doesn’t practice medicine and is quite sure he never went to medical school. No medical decision necessary. 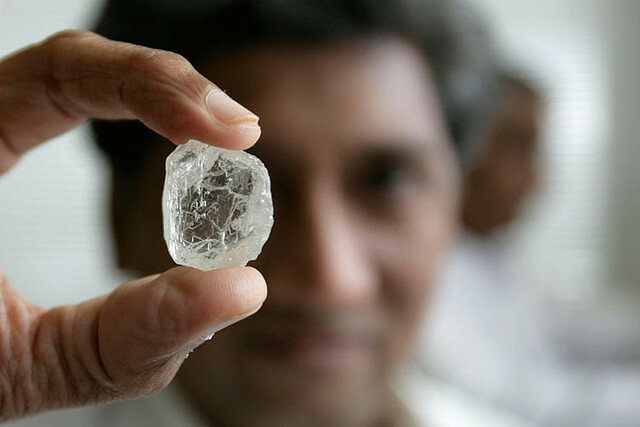 As a ‘high-potential’ or high achiever tackling every goal in your life, a serial entrepreneur, C-level executive, or the like, you are well beyond being a diamond in the rough. 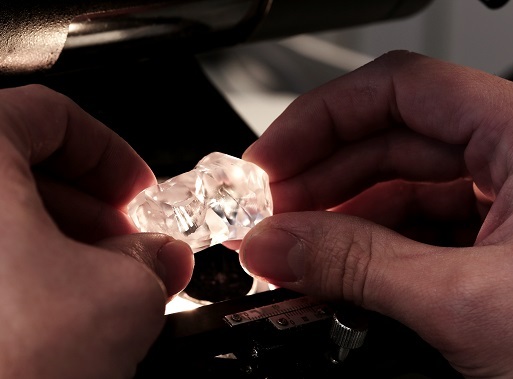 You can now be evaluated by the standard C’s, Color, Clarity, Carat, and Cut that establish ‘a real gems’ value and the qualities you have attained. You must take stock of the Color which you see your leadership through; the Clarity you convey to your business; the Carat weight you bring to bear in your responsibilities; and your Cut, the distinctiveness that makes you a cut above. How do you color your world? It is not only important to know how you personally color things, but to know how that colors things for those around you. As the leader, you have to first know and then take control of the facets of your leadership. That color is reflected in everything you shine upon. Clarity, clarity, clarity; this gives the business the transparency by which all others can see. No matter how well you color what your business is about, if you do not bring that clarity of vision, you will always have impediments that occlude your vision. Bringing your full Carat weight to your endeavors make your work not only efficient but effective. The impression you make for and in your business needs to exemplify the full magnitude of that weightiness. Not using it leaves under-used potential that can only diminish your value. Being a Cut above is why you are in the position you are. But not understanding that your nature plays a large part of how you color things, the clarity and weight you bring to the table, and that it is a master craftsman that releases all the fire, sparkle and value you have, will only lessen your luster. Since a large percentage of your value is determined by your being a cut above, it is tremendously important to see how the next C can maximize this unique aspect of yourself. The fifth C, a Coach. Your personal coach is akin to a gemologist who has been academically trained, is qualified and certified to see a diamond’s real value. They are rigorously tested and practiced in knowing what qualities to look for. Gemologists regularly return to training to recalibrate what they are looking for because, over time, their eyes have changed in ability. 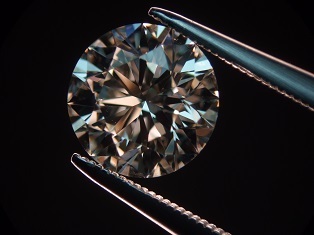 Like a gemologist I have continually trained and retrained, since my start in 1995, to improve my ability to see fully the Color, Clarity, Carat and Cut of those I coach. The following are some of studies, education and/or training I have taken: certified in the eleven core competencies outlined by the International Coach Federation, the largest coaching certification organization in the world; Applied Behavior Analysis; Positive and Human Potential Psychology, the applied psychology of interpreting micro-expressions through the Facial Action Coding System and body language, and neuro-semantics just to name a handful. My aim as your personal coach is to have a co-creative, win-win relationship that provides a Return on your Investment that far exceeds your expectations. Let’s talk, see if it’s a good fit, and if I can help you with an immediate goal, we’ll tackle that pro bono, and if it’s longer term, we’ll talk about and agreement. I look forward to working together soon. If anyone ever tells you, “You need a coach” run away! Think about it, long before anyone would say to you, “you need a coach”, you probably had one without asking for one. When someone starts off in little league, no one tells you, ‘you need a coach’, it’s part of the fundamental learning process of the game. When you join a choir, no one tells you, ‘you need a coach’; it’s already how it is structured. When a woman gives birth, no one tells her, ‘you need a coach’, but there is someone there that reminds her how to breathe, where and what to focus on, and that has been going on since time immortal. ‘Coach’ has become such a buzz-word that everyone is labeling themselves a Coach and then telling you why you need one. Here’s what is interesting. Most of those saying they are a Coach are not even doing any real coaching. These ‘coaches’ are consulting, and if you’re lucky maybe even mentoring (which potentially means they have been-there-done-that). Don’t get me wrong, consultants can be vitally important. I have done consulting, it provides great benefit, but it is not coaching. So back to the question of needing a coach, according to the Guinness book of world records, Madonna, the best-selling female recording artist of all time, selling more than 300 million albums in her career since debuting with her self-titled release in 1983. Does she need a singing coach? No. But does she have one, or more? Yes. Why? Because a good coach helps you dig deeper, go further and soar even higher than you would on your own. Especially when you are at the top of your game. Does Michael Phelps have a coach? For those whom have not heard of Michael, Michael Fred Phelps II is an American competition swimmer and the most decorated Olympian of all time, with a total of 22 medals in three Olympiads. Phelps also holds the all-time records for Olympic gold medals (double the second highest record holders), Olympic gold medals in individual events, and Olympic medals in individual events for a male. In winning eight gold medals at the 2008 Beijing Games, Phelps took the record away from fellow swimmer Mark Spitz for the most first-place finishes at any single Olympic Games. Five of those victories were in individual events, tying the single Games record. In the 2012 Summer Olympics in London, Phelps won four golds and two silver medals, making him the most successful athlete of the Games for the third Olympics in a row. So does Michael have a coach? Yes! Bill Gates has done a TED talk on how having a coach takes you further than you would have gone on your own. Does Bill Gates need a coach? No. Long before he had a coach he was doing quite well for himself. But when, for all intents and purposes, he was at the top of his game he got a coach. To some this seems counter-intuitive. Although when I see a paradox I tend to follow it. Paradoxes, for me, seem to show me how to be a trail-blazer in my area of expertise. 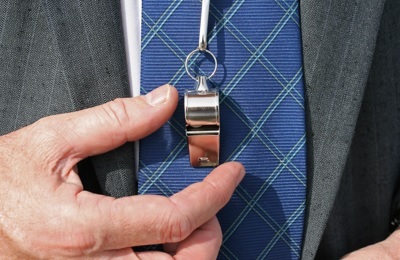 Who else states having a coach, even or especially at the top of your game, is a good idea? A man named Warren Buffet has had a coach for eons. Eric Schmidt of Google fame has said that having a coach was one of the best moves he ever made. As of January 2016, Forbes ranked Schmidt as the 48th-richest person in the world, with an estimated wealth of $10.6 billion. When he stepped down as Google’s CEO, Google announced that he would continue as the executive chairman of the company and act as an adviser to co-founders Page and Brin. He obviously has some business smarts, so he doesn’tneed a coach, but he has one. Jack Welch of GE fame had, and sings the praises of, having a coach. If you stop to consider certain fields of endeavor, it is intuitive to have a coach that can help you hone in on your natural abilities gaining that edge over your competitors. No TOP athlete goes without a coach and sometimes more than one. Think of baseball. There is not only a team coach, but the top hitters are constantly looking to their batting coach to help them stay on their game and get even better. Would they do great on their own? I believe so. Do they do even better with a coach? I believe so, but it doesn’t matter what I believe, they say, at the top of their game, they need a coach. So if someone tells you, “you need a coach”, run away, quickly! If you want to know what a coach can do for you, give it a try. If a coach promises you what they can provide it terms of ‘specific’ and ‘objective’ outcomes, you are probably talking to a consultant in coach’s clothing. If they tell you they will help you maximize your natural abilities, get more perspective, if they say they will facilitate your process of attaining the focus of your vision, you are probably talking to a coach. In that case I urge you to stop, consider and test-drive what coaching can do for you.